Here's my New Year's resolution...write until the well is dry. I am convinced we need more writers in 2018; more fearless, more brave, more courageous writers. Not that we don't have them now. We do. But more is better. More is necessary. Humans are meant to tell stories, to shine lights on our lives, our dreams and fears, and shared realities. But to do this, it takes more than simple desire or nebulous inspiration. 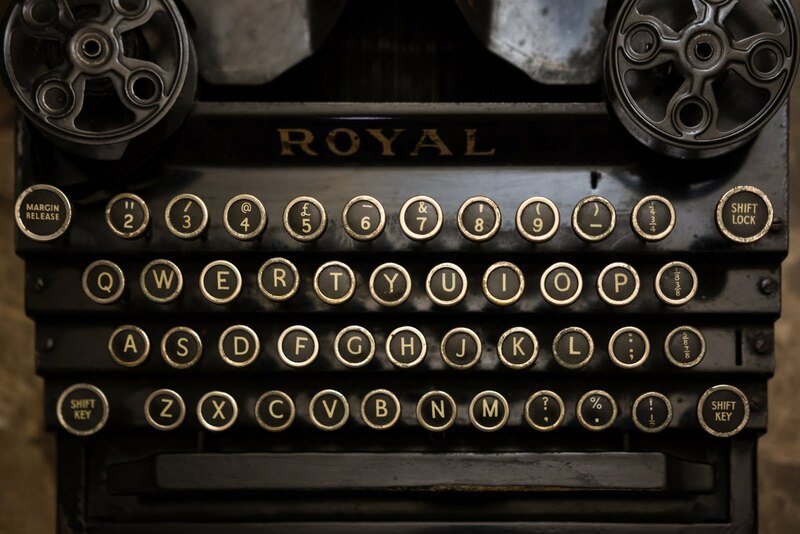 Writing—fiction, nonfiction, personal essays, memoir—is essentially a hard-won discipline. I am fortunate to conduct workshops of all kinds from time to time, and much of what I hear from writers and would-be writers is this: I can't find the time. 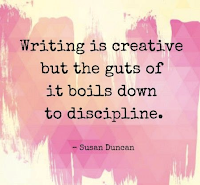 How do you find the time to write? Here's the answer: There is no time to write. You have to make time. And in 2018, I am kicking all of us in the collective posterior, including myself, to...just...do...it. I'm pretty disciplined with my writing but just like you, I falter. There certainly was a time when I would say exactly what many of you say—I don't have the time. Now, writing is a part of my existence. I make time and refuse to wait for "inspiration." If you wait for some higher power, you may never write. For those trying to get to this point, I have a suggestion: In 2018 take part in what I call the Take Ten writing project. It's pretty simple. And even if you already have a disciplined routine, this project might help to renew your commitment. 1. Get a notebook. Something you use daily to dedicate to your writing. This can be a file on a computer or a nice leather journal or even a simple spiral notebook. 2. Write every single day. I know you've heard this before, but the Take Ten approach is a bit different. This time we want you to focus mainly, at least at the beginning, on simply creating a routine. You want writing to be like brushing your teeth, habitual. Find ten minutes. That's it. Morning, lunch, before bed. Find a spot that yours. On the train, on the couch, at the kitchen table. 3. Lastly, write for those ten minutes and only those ten. Time it on your phone, your watch. Write anything. If you think you can or want to write longer, DON'T. Just write for ten minutes. Then, after ten days or so, write as long or as short as you like. But, and here's the key, from here on out keep writing at that time of day and at that same place. After ten days, the routine is likely to have become sealed somehow. If you set the routine in cement, the writing will come. Routine is what you are looking for. It's the bugaboo of the discipline like it is for anything worthwhile and Take Ten helps you to set that routine. The approach is not unique, but it is simple. And the less complicated, the better. You can do this. I think that´s great advice, David. 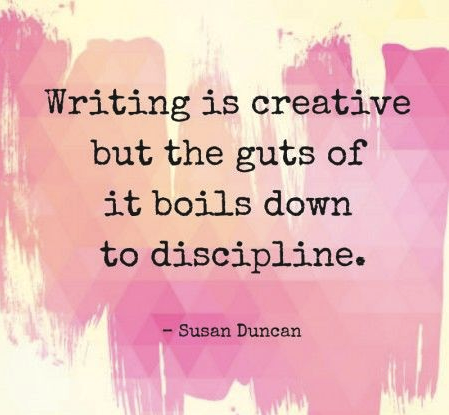 I also find that you can make the most of the time you´re not writing to come up with ideas about what you´re going to write. Doesn´t have to be everything, but just some pointers - markers to hit when you sit down. The shower, washing dishes, jogging and ironing time works best for me. 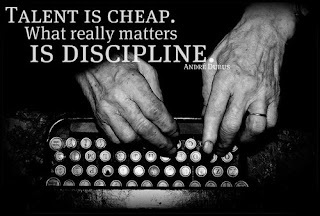 Then, when I do sit down, I just switch on and begin - and the more times you make yourself sit down and write, the more disciplined you become. Finally, when you´re not writing, especially when you´re staring at the TV or bored, think "I could and should be writing". There´s always time! You are so right! I keep a notebook and jot down phrases and thoughts on what I'm currently writing for thinking about writing. I sometimes will send myself an email through my phone about something I've thought about or observed. And I also contend that writers are ALWAYS writing, even when flipping through the TV remote. I just read Patti Smith's DEVOTION, a wonderful small book about writing that I will be writing about soon in a post. She also believes this, tells it through her actions -- writers...are always...writing. Thanks for your post, David. In November I participated in NaNoWriMo and made myself write 50,000 words in 30 days. I learned a lot about myself and writing. Just making yourself do it is important. I'm hoping to establish myself more as a writer this coming year. I'm also glad to see someone else who recognizes how important writing is. Brian! I applaud you! I did radio piece for a public radio station on NaNo a couple of years ago. It’s a great way to discipline oneself. Now the routine comes, right?! Thanks for these thoughts. Yes, we need more brave writers. I also agree with James above--when I hit a stuck point, I go out and do something "mindless" like rake or sweep...it allows my mind to sail across the story and come up with new ideas. Tremendous idea. The Buddhists say you should try to be centered on what you’re doing when you are doing it and beautiful thoughts appear. Rake leaves, wonderful wrting. This is a very nice blog that I will definitively come back to more times this year. Thanks for the auspicious writeup.